THE story of Gympie's honest Dollah and his fight to save his family from genocide has generated concern across Australia and ignited debate on refugee policy. "You have opened the eyes of people all over Australia," said Sydney's Elise Swadling, who read The Gympie Times' report on the internet. The story led Thursday's issue and ultimately reached more than 213,568 people, received 2080 "likes" on Facebook, 302 comments and 305 shares. But yesterday, his story reached a dangerous climax, his family suddenly uncontactable and feared kidnapped or dead. Australians have rallied behind Gympie refugee Dollah, donating money, effort and anything they can to help a man to save his family from genocide. More importantly for Dollah, the Australians he knows in Gympie, particularly his workmates at Nolan Meats, have led a new chapter in tolerance and decency towards some of the most desperate people in the world. But even as the good news unfolded, it emerged yesterday that Dollah's family - his wife, daughter, mother and two younger brothers - have disappeared and may be kidnapped or dead. And as powerful influences work in their favour, with the possibility they could be on a plane to safety within days, Dollah goes to work each day wondering it they are still alive. The trouble is, his Australian host Deborah Rays said yesterday, it is hard to know who to believe. "We know exactly where their phone is (through its GPS), but no one has answered it in the past 48 hours as far as we can tell." Meanwhile, Dollah has to keep on keeping on, going to work and staying optimistic. "I am so happy," he told his Ms Rays, as fellow workers made it clear they are there for their mate. "I told him I had looked on the internet and he was in 30 newspapers," Ms Rays said yesterday. "He's never seen a newspaper before, so he didn't understand. "I had to explain to him that no, he was not in just 30 copies of one newspaper, he was in 30 different newspapers." Even people who did not initially accept Dollah are now in the vanguard of his defenders on Facebook, after reading The Gympie Times' lead story on Thursday. "They are one of the most oppressed people in the world," said Sydney immigration agent Elise Swadling of Dollah's people. And as Bangladeshi authorities move to force back refugees from the genocide in Myanmar, it is also possible Dollah's family, even if alive, are captive and on their way back to where vicious violence has already claimed many members of Dollah's Rohingya people. They are a Muslim group subject to officially condoned violence and murder. "They poison the water, put bombs under their houses. It is appalling," Ms Rays said. 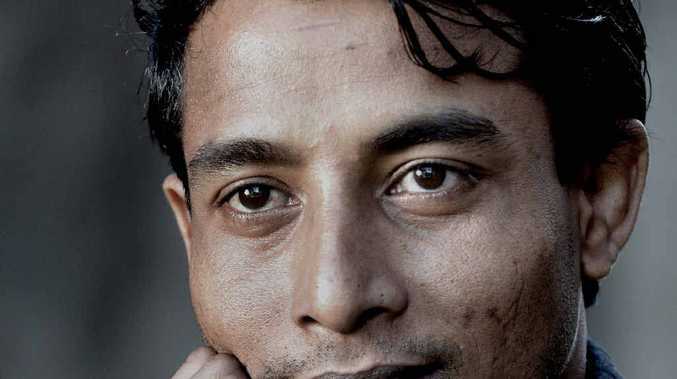 Dollah's wife, daughter and two younger brothers disappeared on Thursday, as Bangladeshi authorities moved against refugees from Myanmar, including Dollah's family. 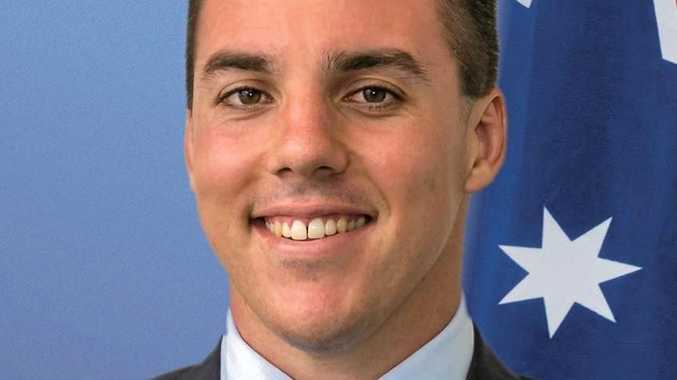 "We can only hope they are still alive," Dollah's Australian host Deborah Rays said yesterday. The Gympie Times report ignited new refugee debate and went to papers and their websites throughout the APN Australian Regional Media network. IF it gets claimed the owner should reward this honest fellow. It would only be the right thing to do to say thankyou!! WHAT an amazing man you are Dollah. I hope you can be reunited with your family one day and come to enjoy living in a country where you do not have to be in fear of your life all the time. WELL done! You are an inspiration. GOOD for you Dollah, and if it isn't claimed and it is legally then yours then you have earned it, through your honesty. I wish you and your family all the best. WOW what a story he has .. and a great person he is .. Makes you rethink about letting people in and those who wants the doors closed are selfish ppl who are greedy and want more from the government.. This person is an inspiration in many ways. SO maybe more stories like this should come out maybe then people with understand what the people on the boats are fleeing! They like this man want a better life a life that we have where we do not have people trying to kill us and our families. But I'm sure I will see hate against the boats. SO, is there anything we can do to help Dollah's family?? ?